For wall or ceiling repairs, I have perfected the art of matching any knockdown texture repair with my knockdown texture sponge. This is where to buy your Knockdown Texture Sponge! New Video—> Check it Out below!! 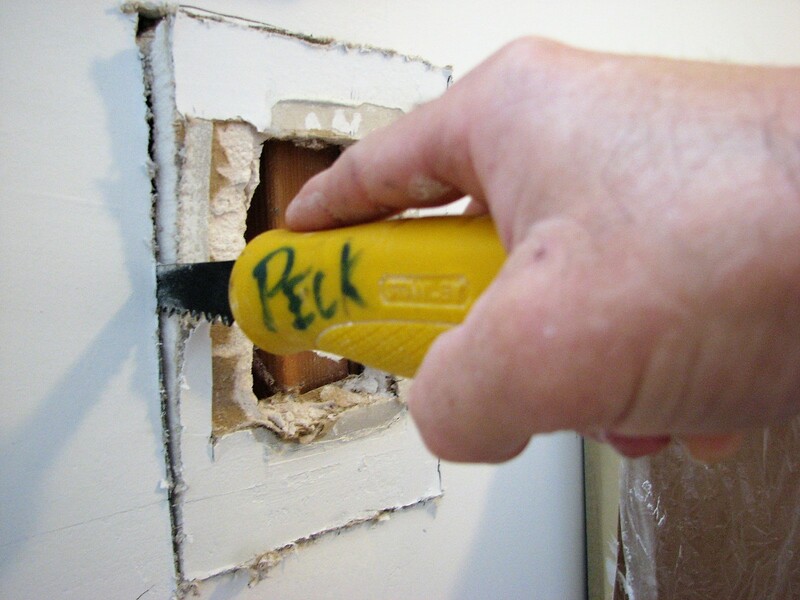 The knockdown texture sponge is Great for wall repairs and patches too! I recommend not using a clumsy and messy texture spray can that the texture comes out to thin and never really matches a normal knockdown texture. Another method that is difficult to match knockdown texture is using a compressor and texture hopper for these types of small drywall and texture repairs. A hopper simply is hard to dial in and get the right size splatters when trying to match knockdown texture. Texture hoppers also put out too much texture on not only the repair but the surrounding area when the texture is better if it’s concentrated to a smaller area around the repair area. Resulting in too much knockdown texture build up. Never really making the patch invisible. Along with the knockdown texture sponge this texturing project will require a couple more hand tools to do be able to blend the knockdown texture. Knockdown texture matched with my Knockdown sponge! I’ve found in my over 20 years in business as a drywall contractor and painting contractor, that using my texturing technique along with my knockdown texture sponge. I could match or at least get really similar knockdown texture on the smaller wall and ceiling knockdown texture patch areas. After drywall repairs were primed and painted you couldn’t even see the repaired wall or ceiling areas.